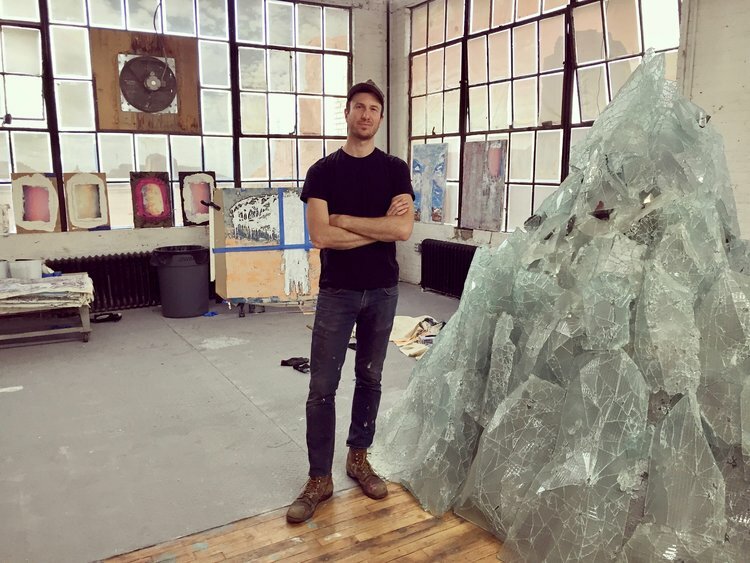 The Brooklyn-based artist Andrew Erdos and I were introduced by the founders of The Chimney gallery when a visit to their Bushwick space led to a spontaneous studio visit. With a link to the Italian tradition of glass-blowing, I though him a perfect candidate for a Digiqualia interview. 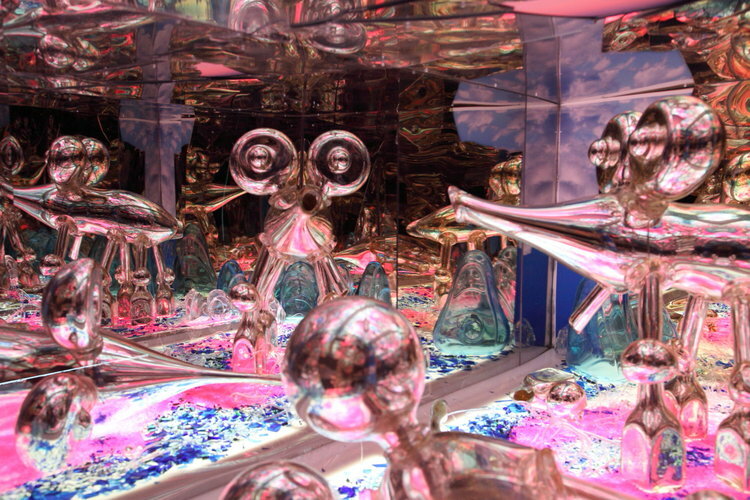 Before I saw any of his sculptures, videos, photography or mixed-media installations, I was blown away by the magical space within which Erdos works. 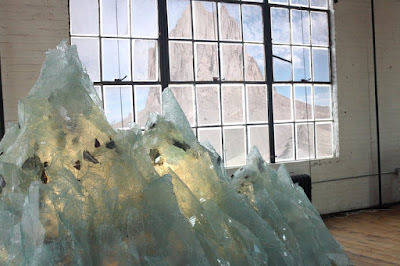 Examples of his landscape photography were pasted to the windows, making you feel as if you were in a desert, and his famous mountain of glass stood triumphant in the middle of the room alongside rougher experiments with glass lining the walls. 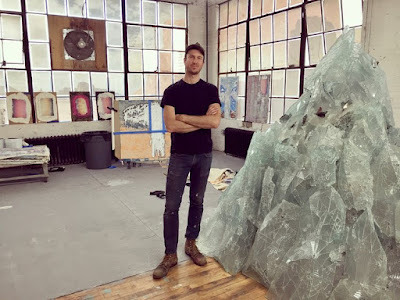 With a modest desk in the corner framed by a huge silver and pink fluffy heart to round it all off, Andrew's sprawling studio - the location of our supper club during Frieze New York in May - was a sensory experience like nothing else. Landscape is both a literal and metaphorical measurements of time. One of the aspects of glass that I find the most relevant is its ability to capture and display time. In the glassblowing process, the difference between a piece cracking or melting can be a few seconds. 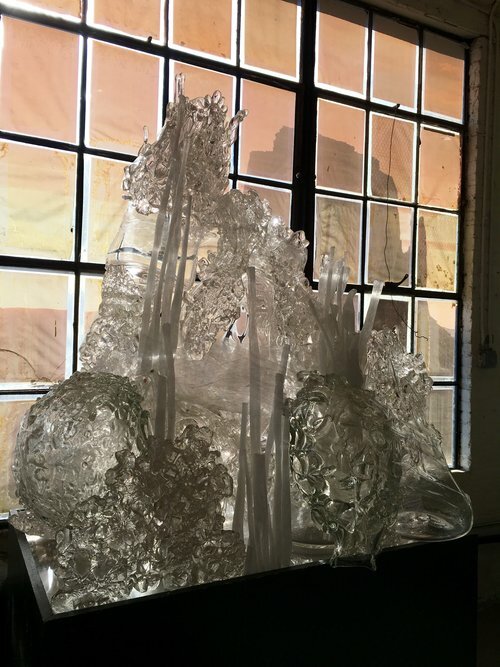 When glass is in its molten state it is almost like a living organism. It produces heat, it moves, it radiates light, as it cools down it cracks and dies. The glass can then get re-melted and re-incarnated into its next form. There is a quote from Jean Baudrillard, in America, that verbally articulates everything I am trying to say with my ongoing works in the desert. “Beauty is and always will be blue skies and open highway.” -Dave Hickey, The Invisible Dragon. I can't say that I have a favourite. 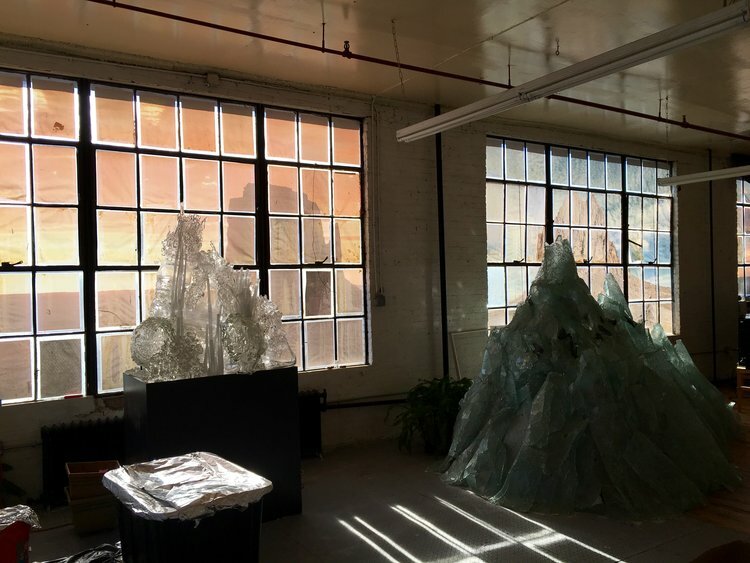 There is a very wide range of works that I find inspirational, from Oceanic Art and traditional Native American Art, to James Turrell, Dan Flavin, Pipilotti Rist, Nam Jun Paik, Sterling Ruby, Pierre Huyge, Nathalie Djurbergand Paul McCarthy. Absolutely. It is ironic because a large portion of my interactions with the natural world / desert landscapes are done with digital tools. The blessing of using digital photography to document events is that the experience can be reproduced infinitely and shared globally. However, you are not able to personally absorb the situation when being burdened with the act of capturing it. Barbara Gladstone. What she has been able to produce over the last few decades is amazing. All of the pieces she guided over a 25 year creative relationship with Matthew Barney. Anish Kapoor, Cyprien Gaillard, Banks Violette, Huang Yong Ping, there are so many talented people in that program.I also really like Tanya Bonakdar. She has been instrumental to Olafur Elliason and he has been very influential to my work. 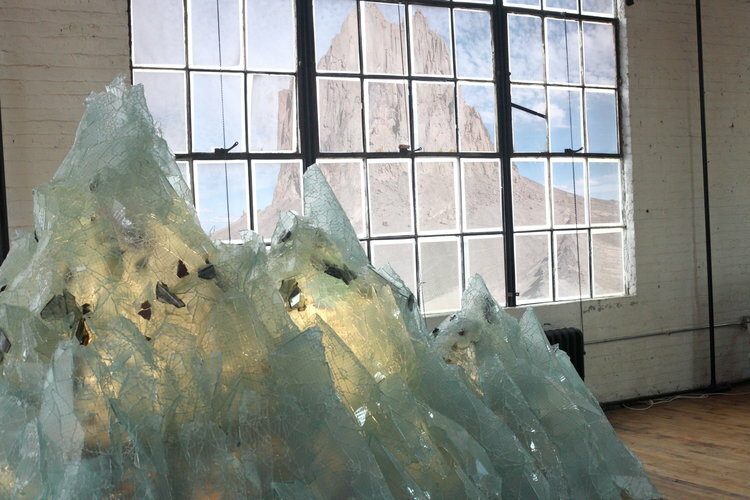 My favourite of the youngest generation of galleries is The Chimney NYC in Bushwick. 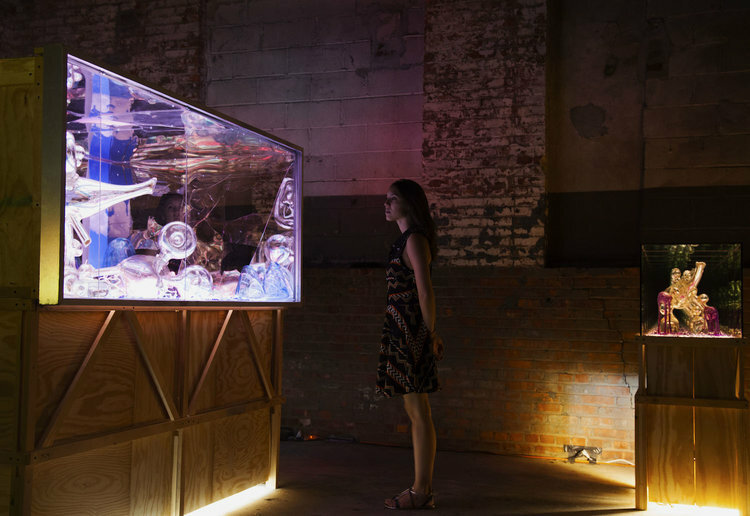 Their emphasis is on installation and monumental works by fresh emerging and mid-career artists. My art practice is independent, however I really appreciate my community of artists and curators and constantly benefit from their advice. There are also several aspects of my studio practice which can not be achieved alone. Glass-blowing requires a team of people, so there are always people involved at some point. It is a sacred space for me. It is a place of contemplation and creation. More concretely, it is a little less that 2000sqf serving a wide range of uses from editing and installing videos, to growing crystals on glass sculptures. The routine is to start as early as possible and work as late as I have the energy to. There is usually lots of coffee and loud music. It is going to be extremely difficult, accept that from the beginning. Be grateful every moment you are in the studio. Look at as much art as you possibly can. And, the expression “If you can be anything other than an artist, you should be anything other than an artist”.